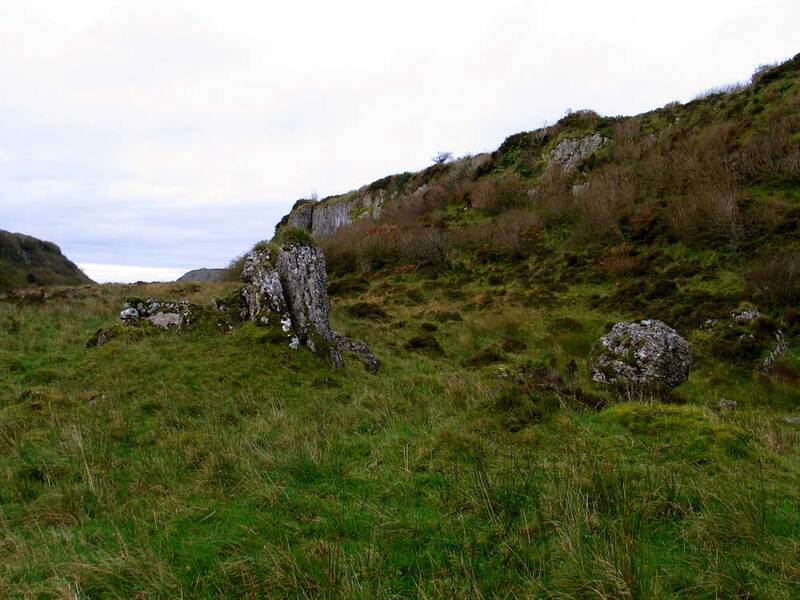 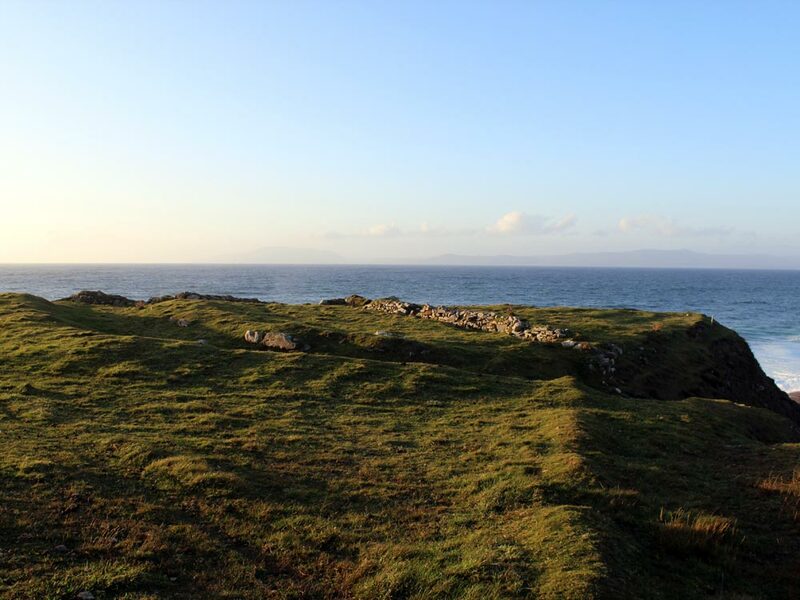 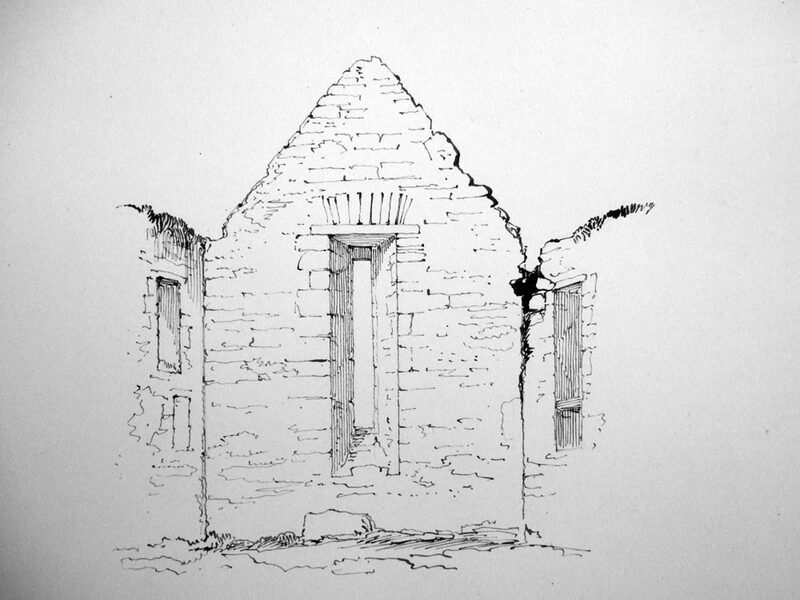 This website began as a small guidebook about the mysterious neolithic chambered monuments at Carrowkeel in County Sligo. 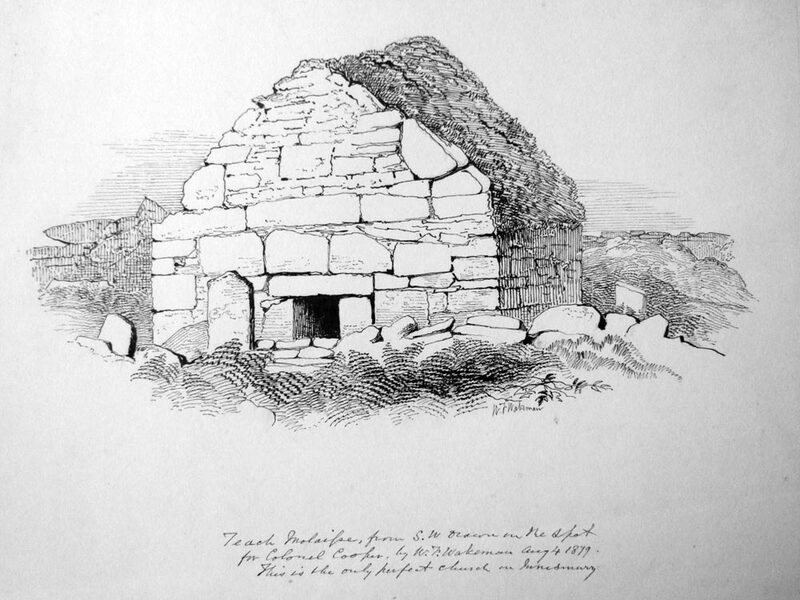 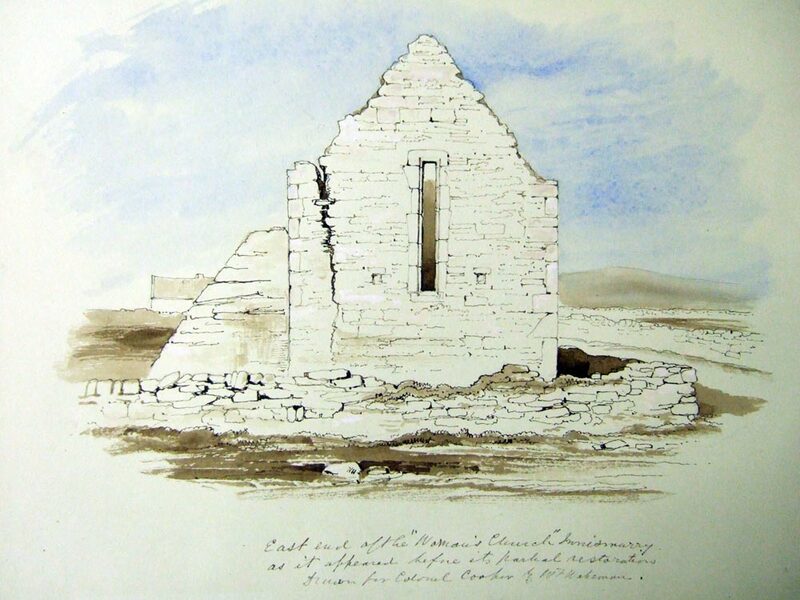 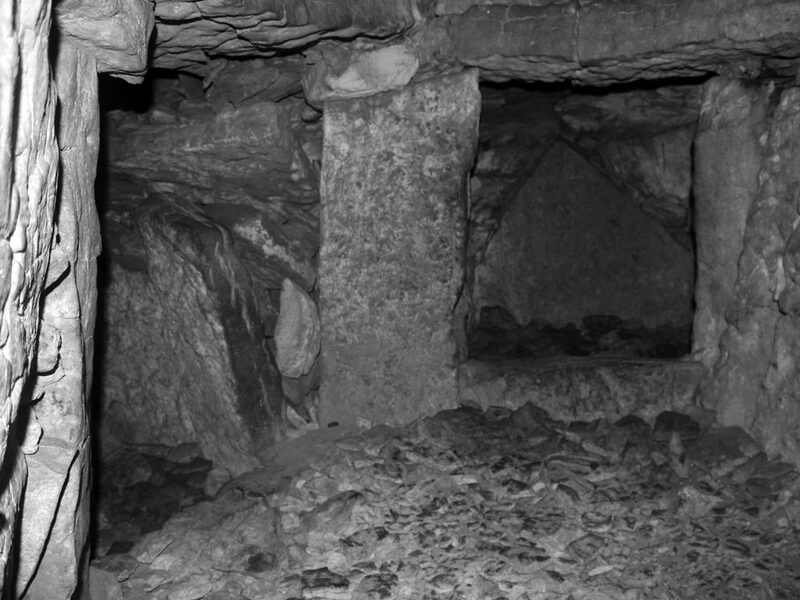 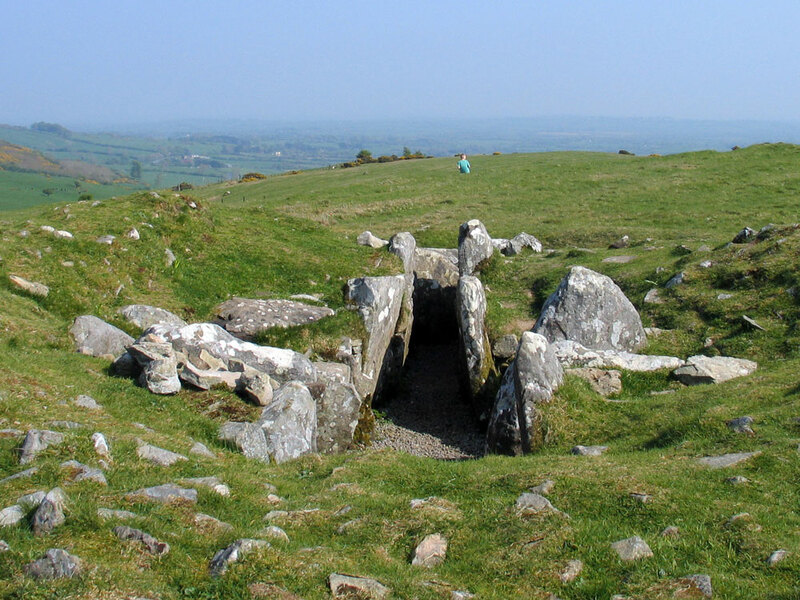 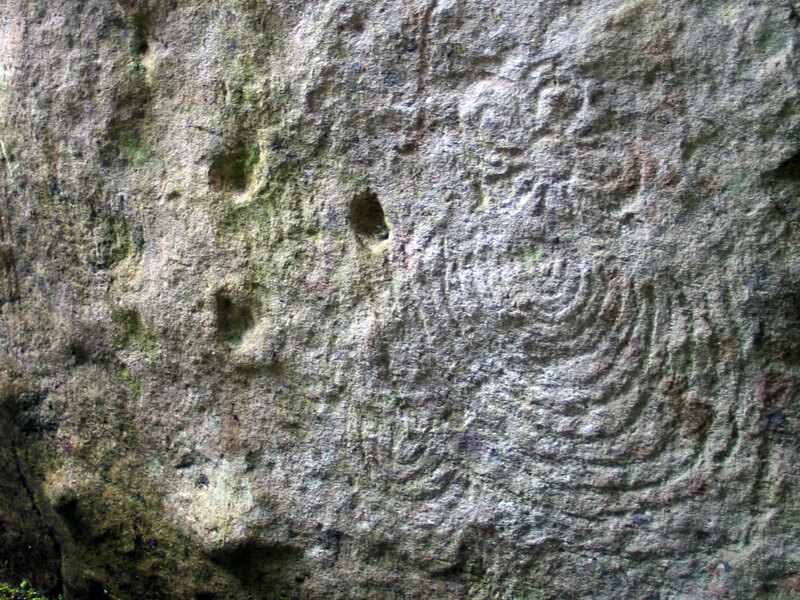 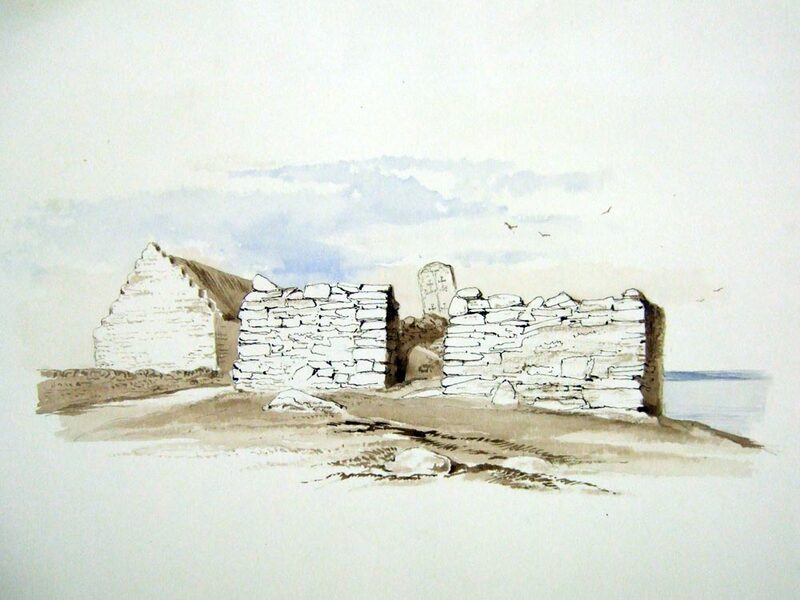 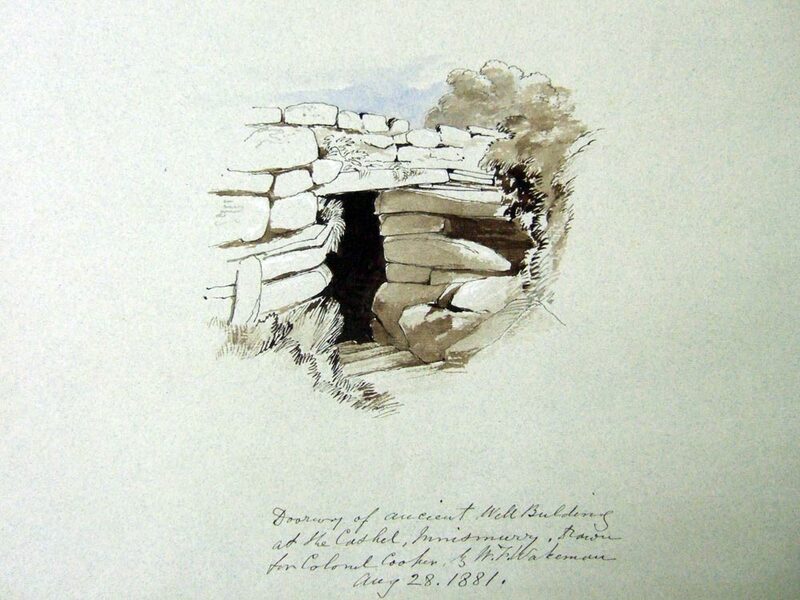 While the guide book has yet to be completed, the website has expanded beyond Carrowkeel to embrace various aspects of Irish archaeology, megalithic art and mythology, history and music—in essence the culture of Ireland—which is one long, fascinating and interwoven story spanning thousands of years. 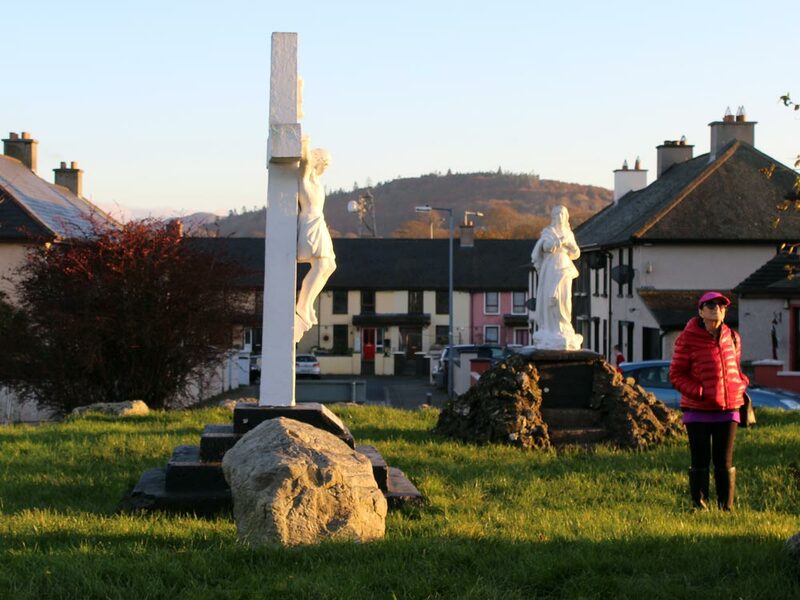 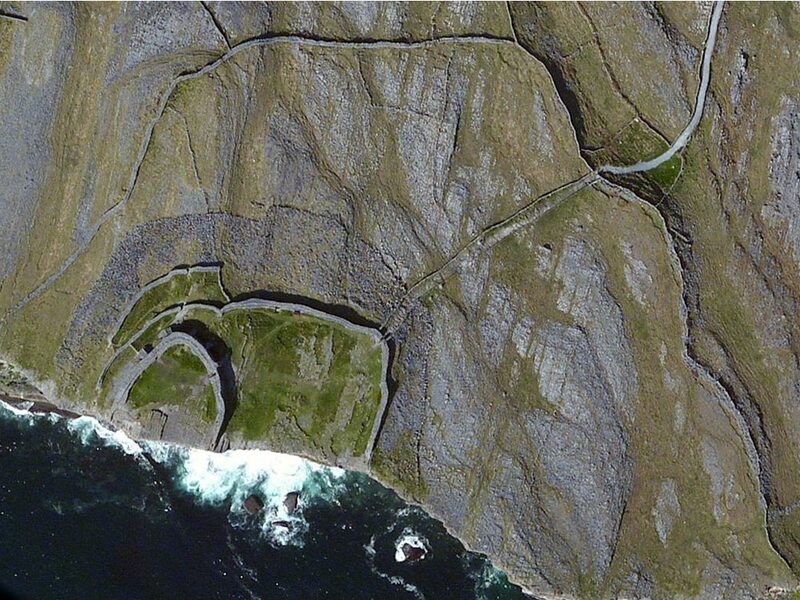 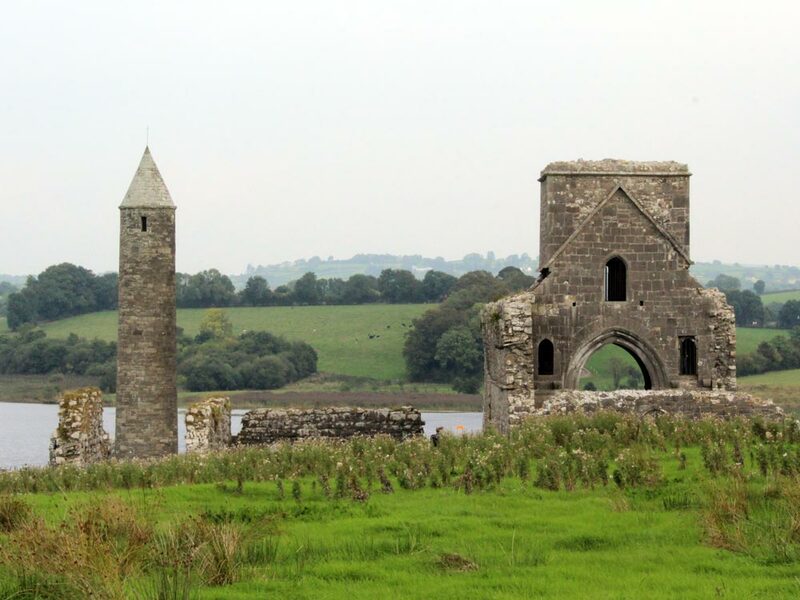 A slideshow of Irish sites and monuments. 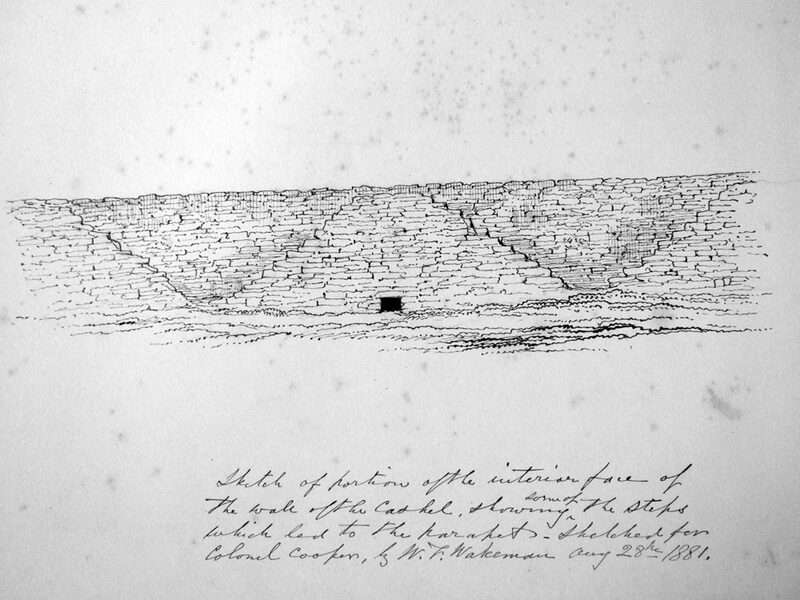 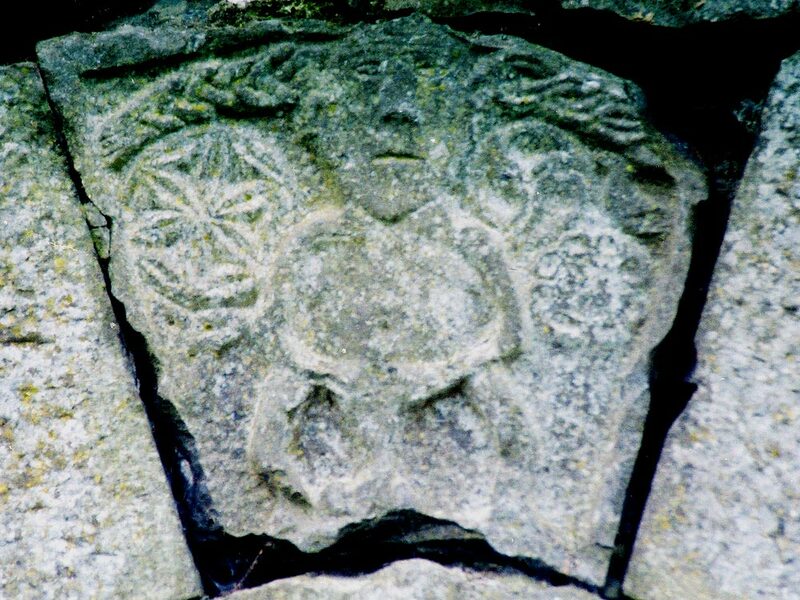 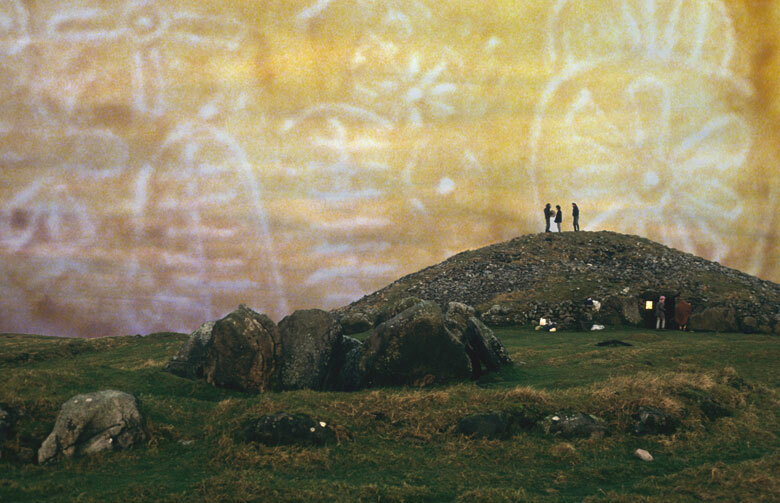 I began my research into Irish megaliths at Loughcrew, inspired by the writings of American researcher Martin Brennan, author of The Stars and the Stones. 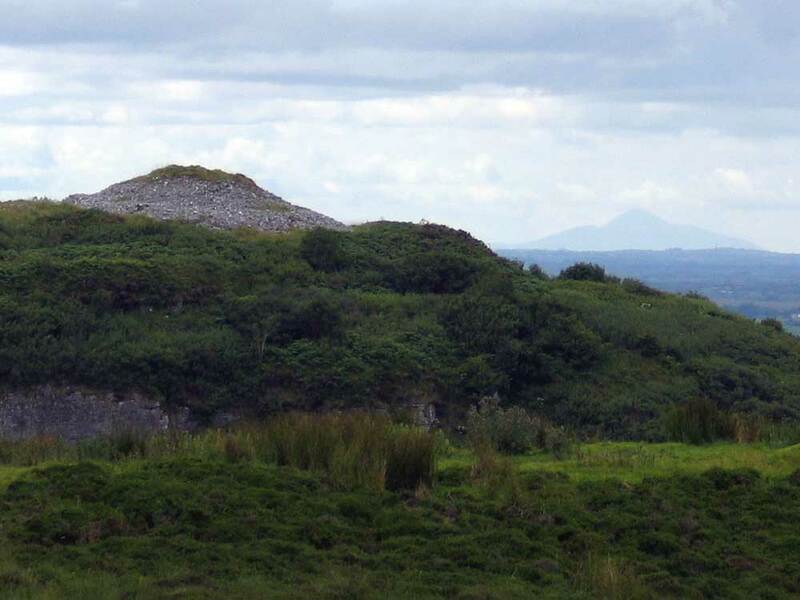 Following that, I spent many years living at Carrowkeel in South Sligo, close to the shores of Lough Arrow, a beautiful landscape full of neolithic remains, mythology, folklore and superb traditional Irish music. 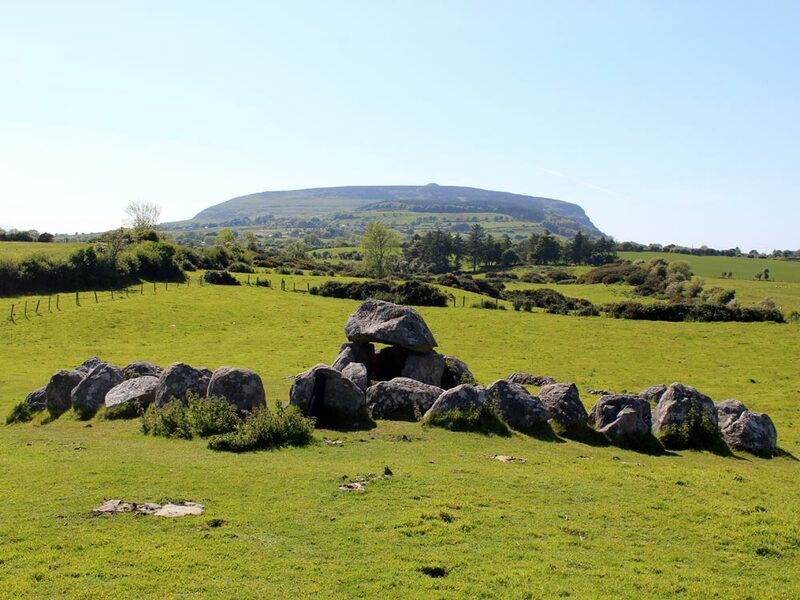 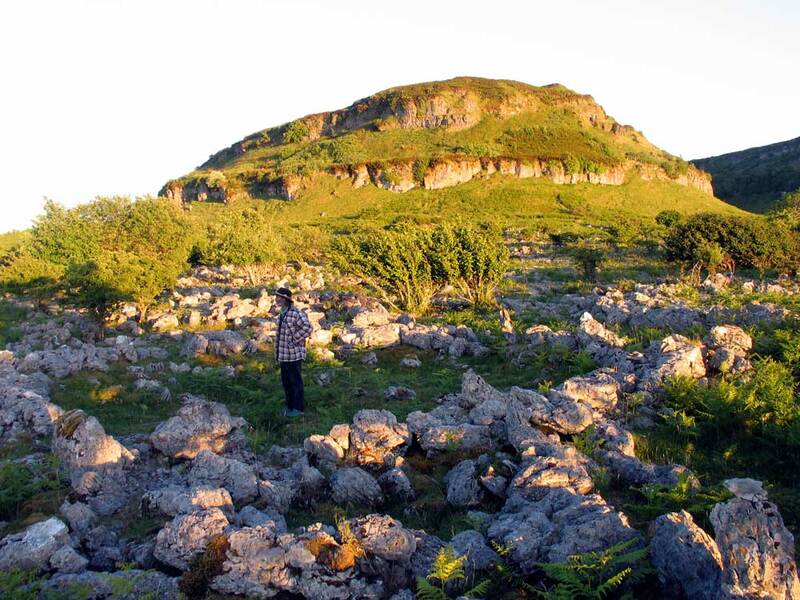 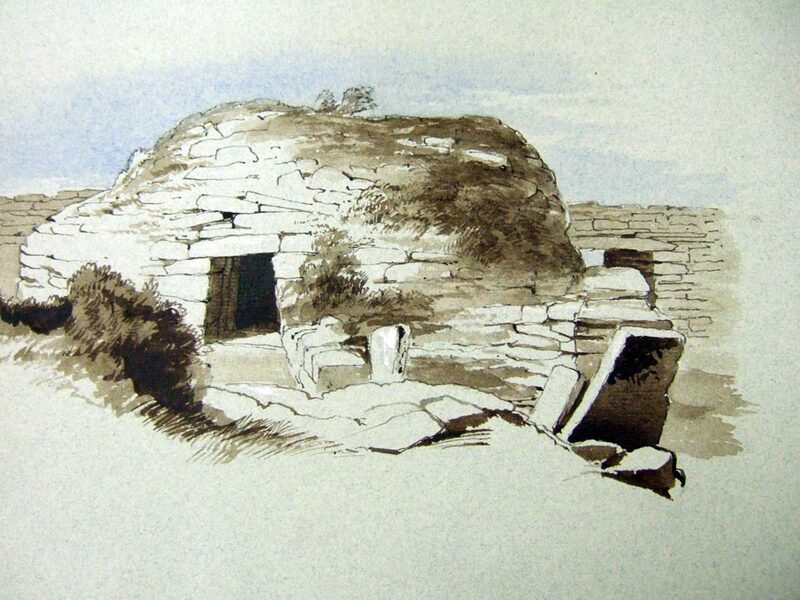 The great megalithic sites of South Sligo are Carrowkeel, Kesh Corran, Heapstown cairn and Moytura. 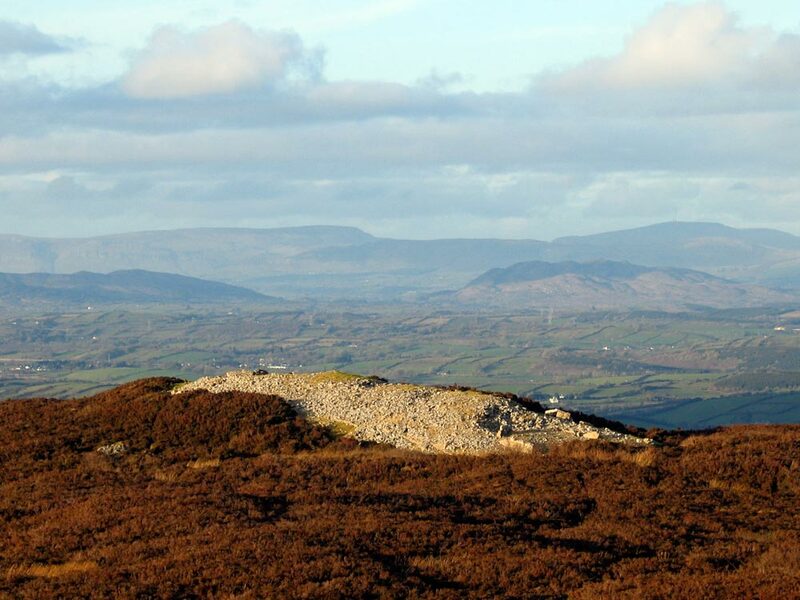 Carrowkeel is a spectacular megalithic complex high on the northern plateaus of the Bricklieve Mountains. 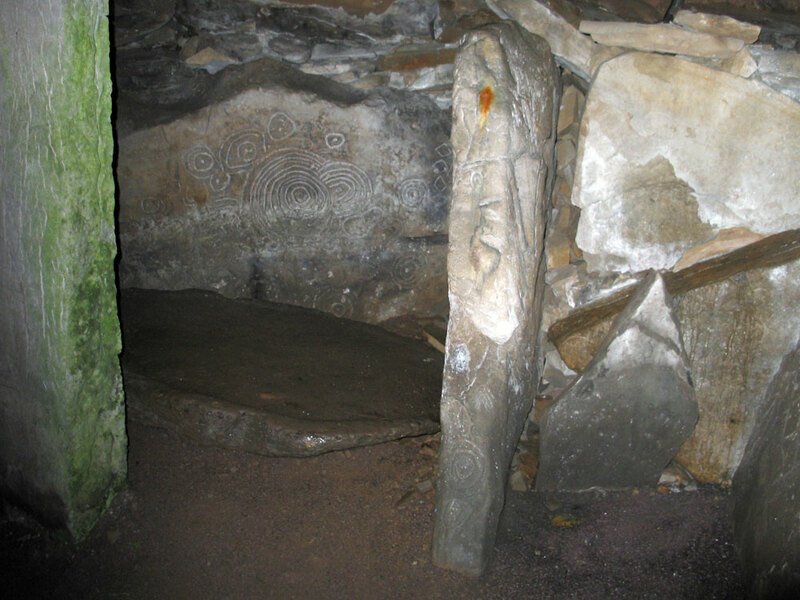 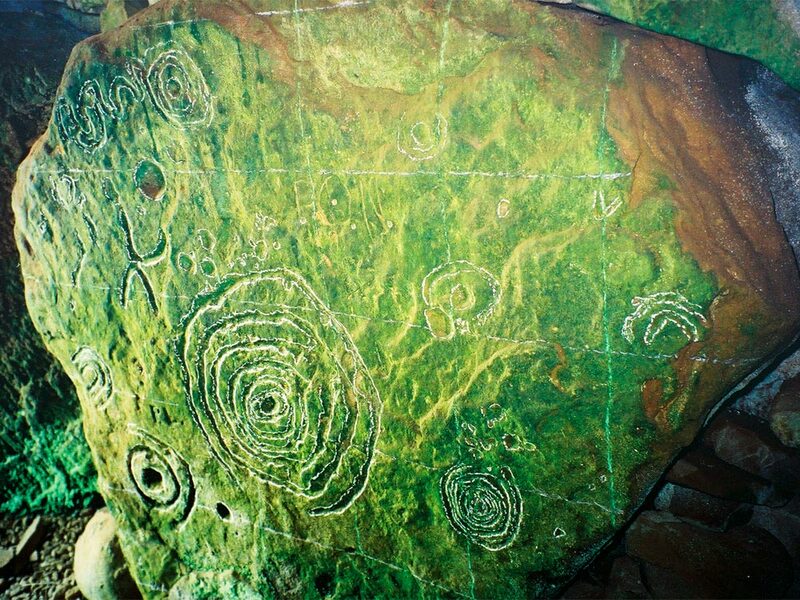 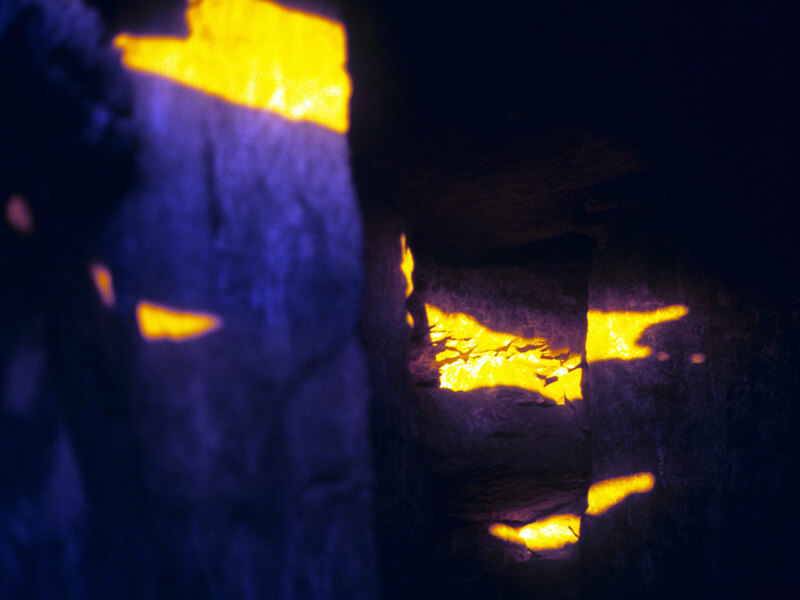 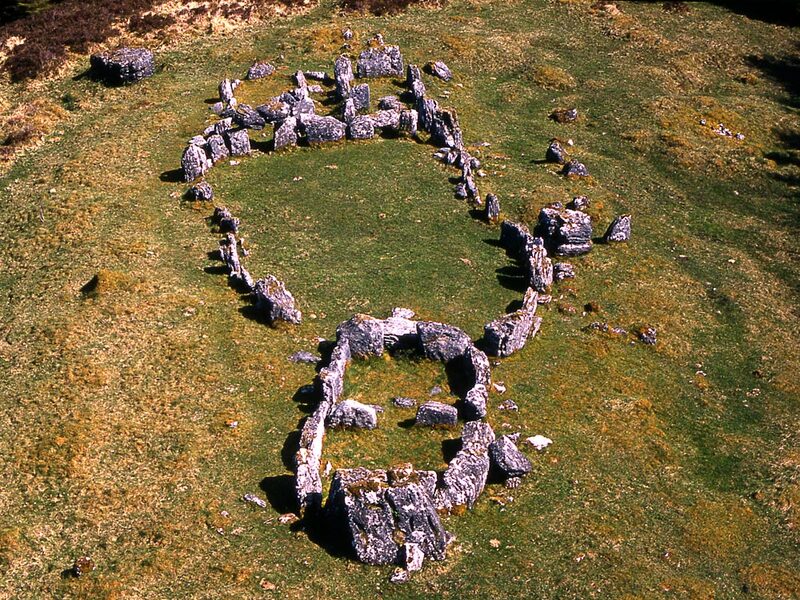 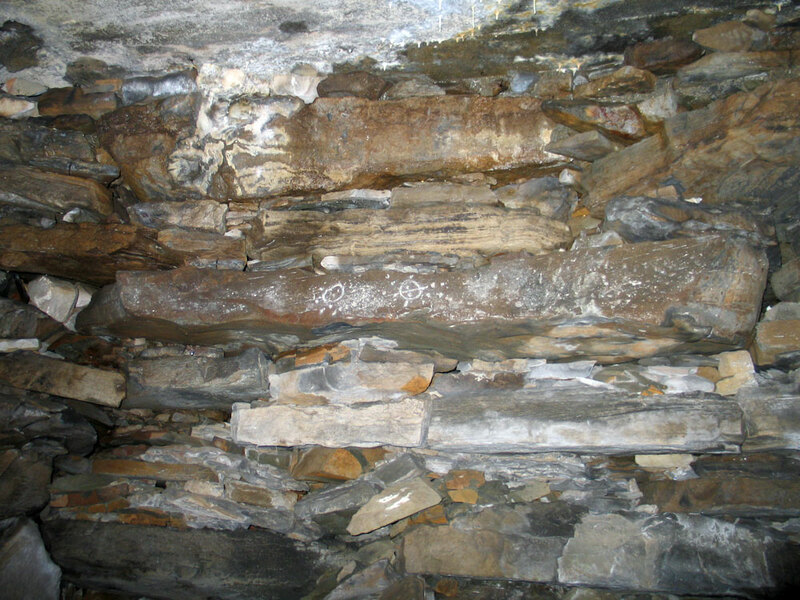 Several of the chambers at Carrowkeel are illuminated on occasion by the light of the sun and moon. 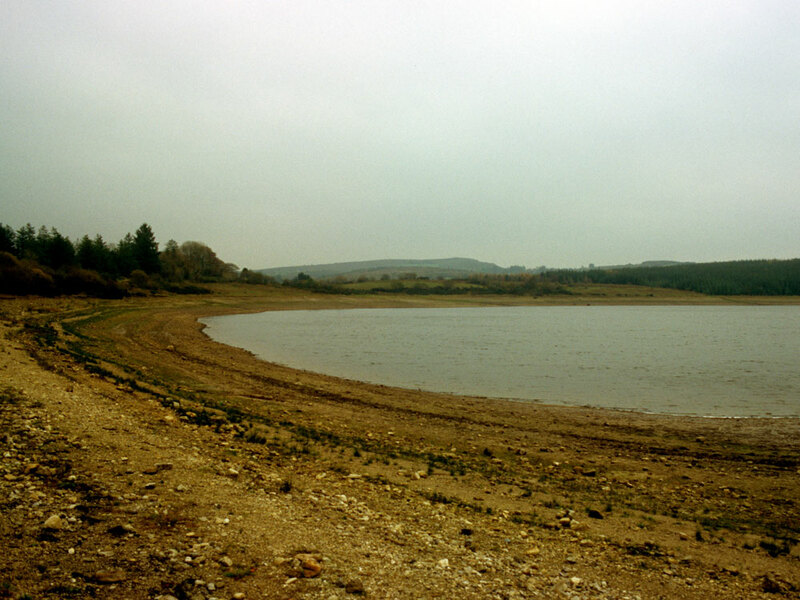 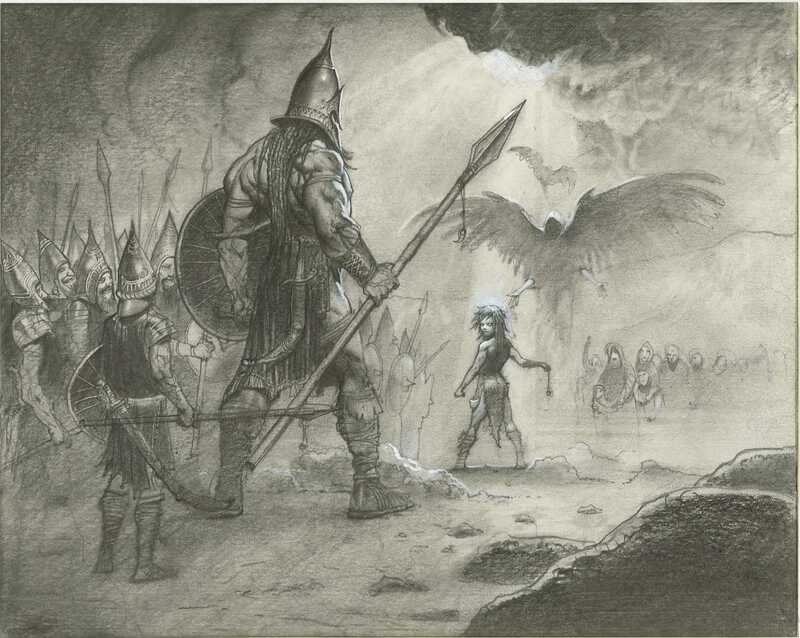 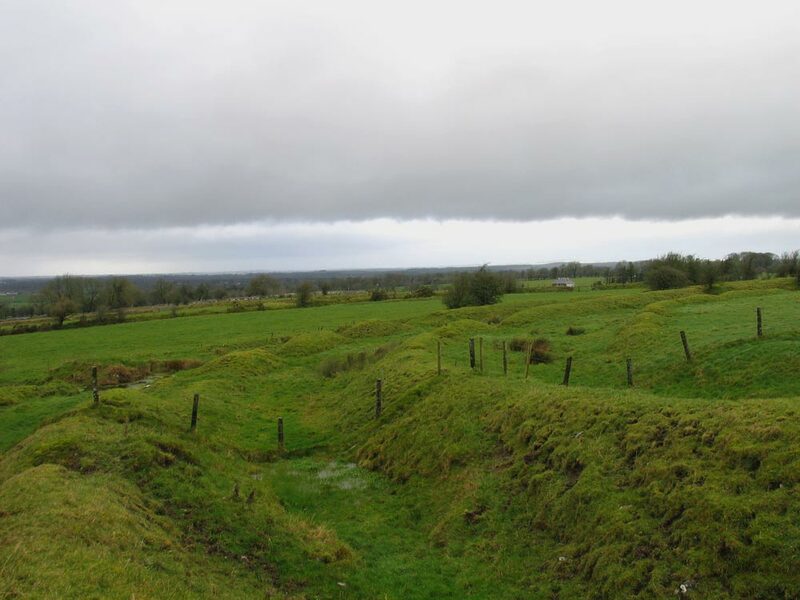 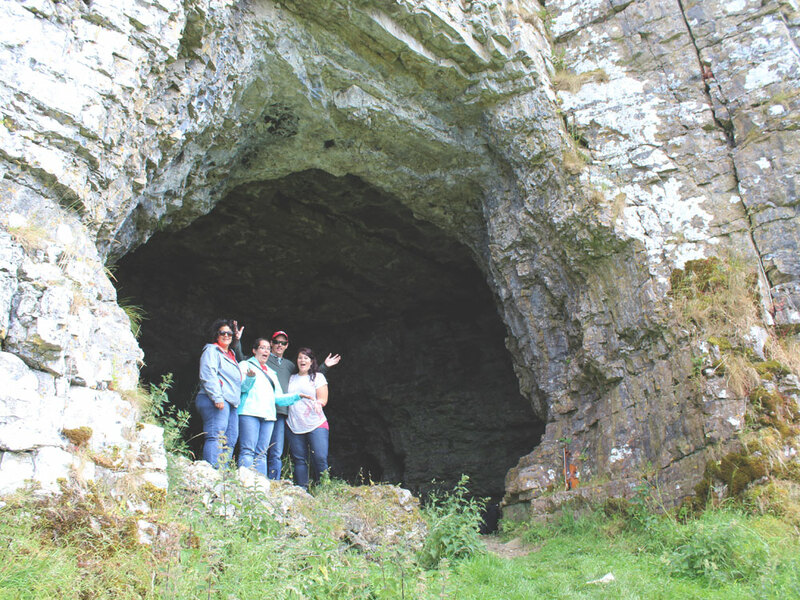 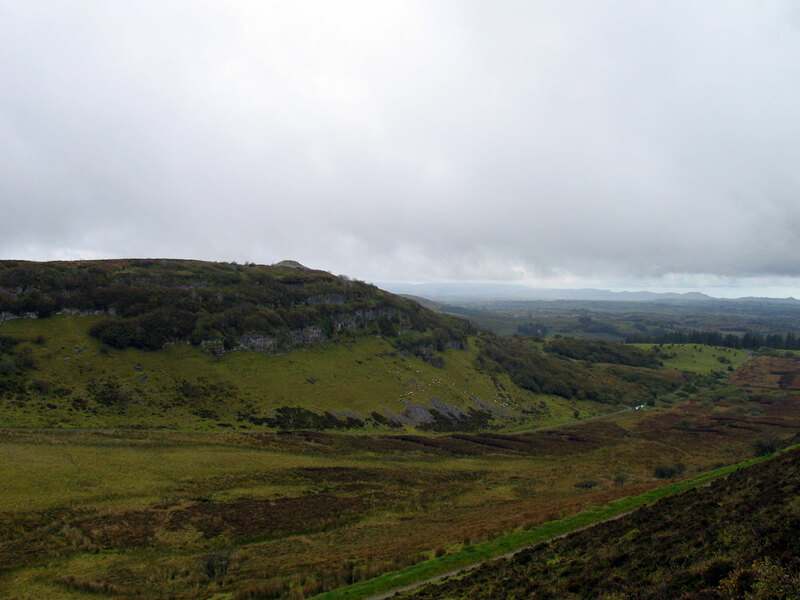 Moytura, the low ridge on the east shore of Lough Arrow, has a wonderful collection of myths and legends: the tale of the Second Battle of Moytura, a story that has inspired the plots of both The Lord of the Rings and Star Wars. 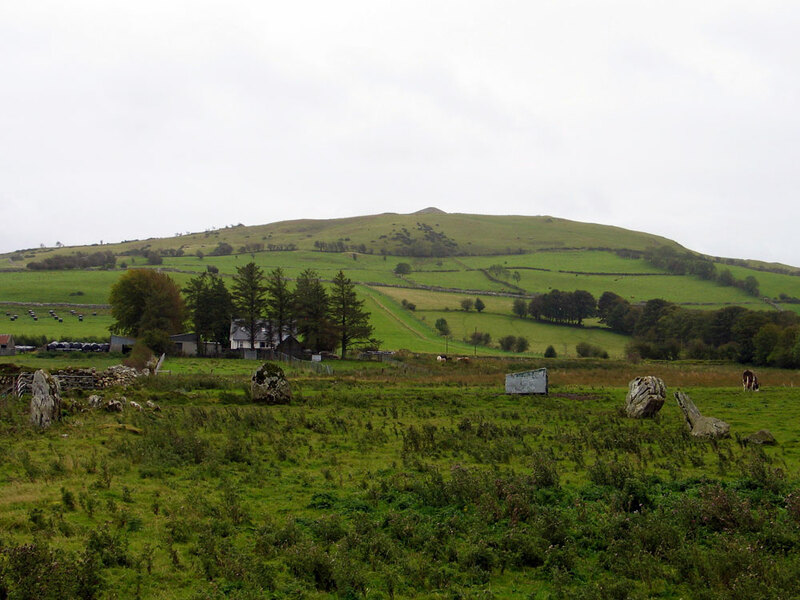 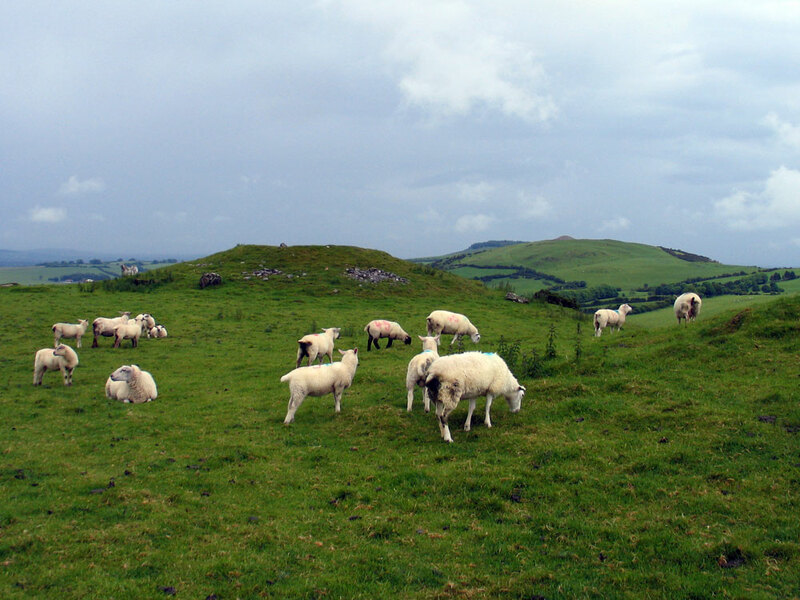 There are many more monuments on the summits of the surrounding hills, with neolithic cairns on Knocknashee, Muckelty Hill, Doomore, Croughan and the Ballygawly Mountains. 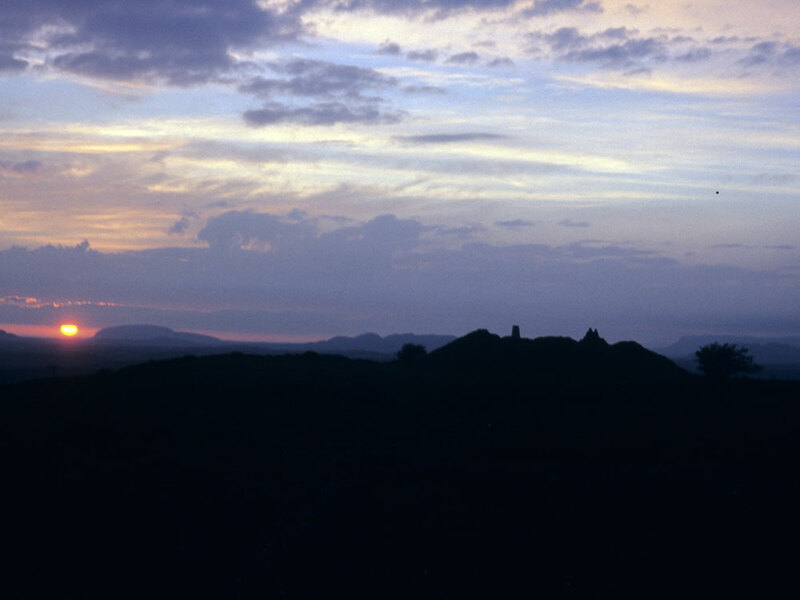 Bunduff Lake near Cliffoney at sunset. 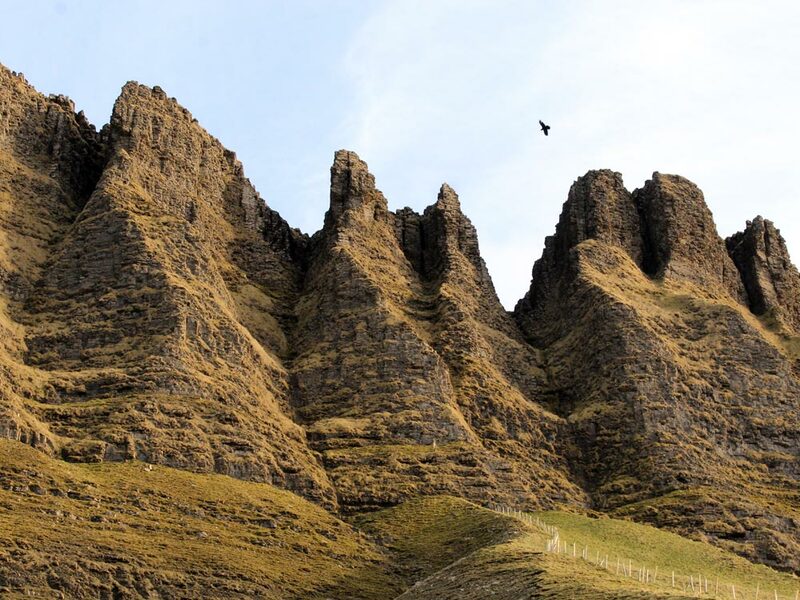 County Sligo is one of the most beautiful areas of Ireland, with rugged mountains and fabulous coastlines. 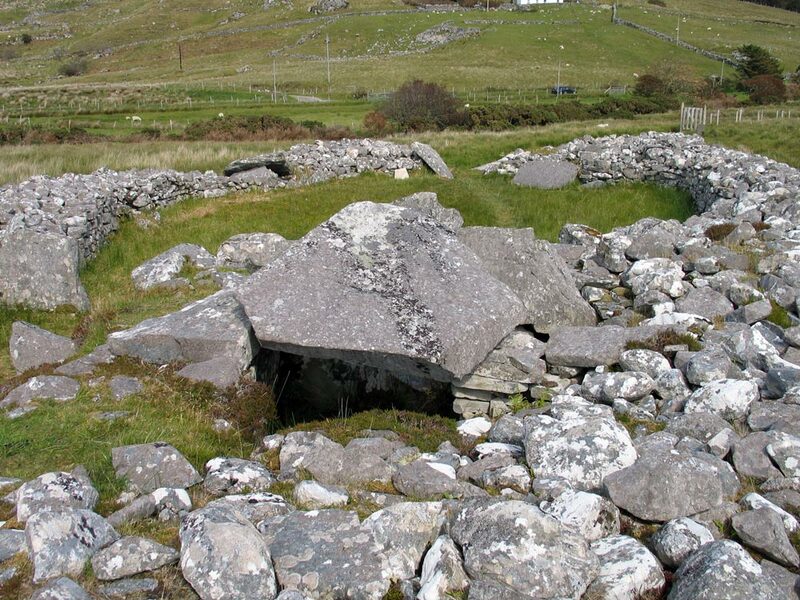 It has also proven to be one of the earliest landfalls of neolithic settlers, with dates from more than 6,000 years ago from along the River Garavogue. 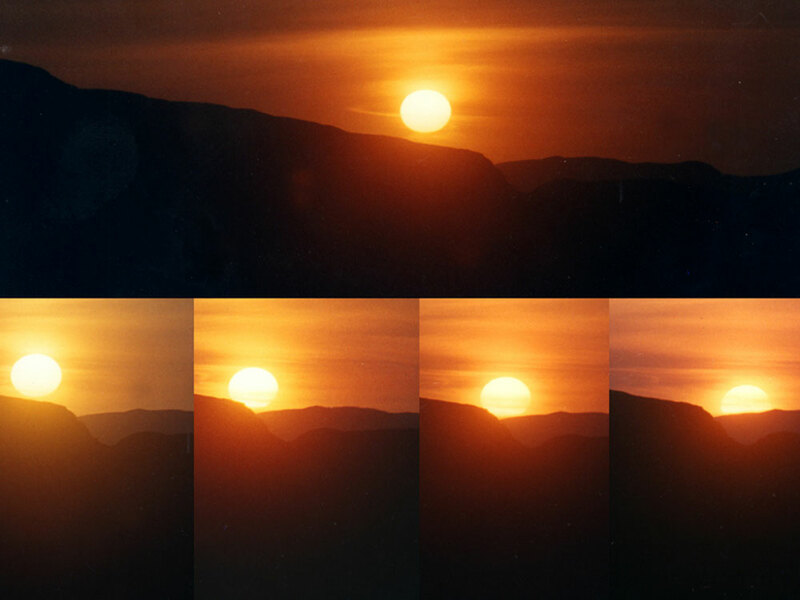 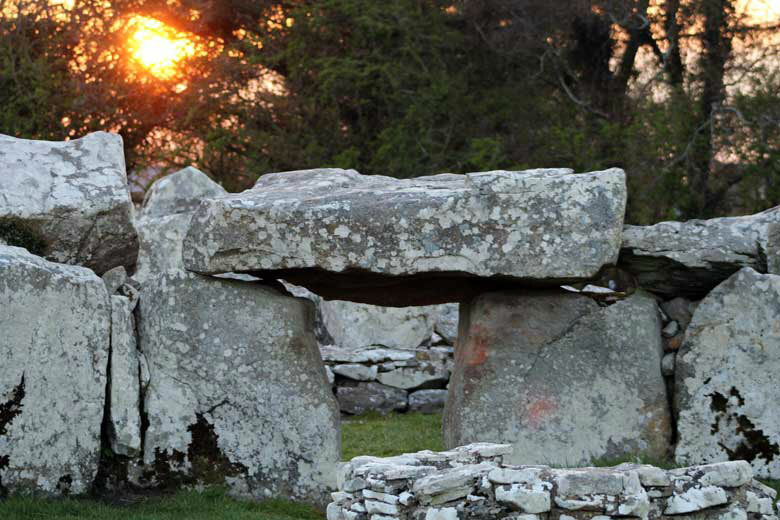 Sunset at Creevykeel, the great megalithic monument near Cliffoney. 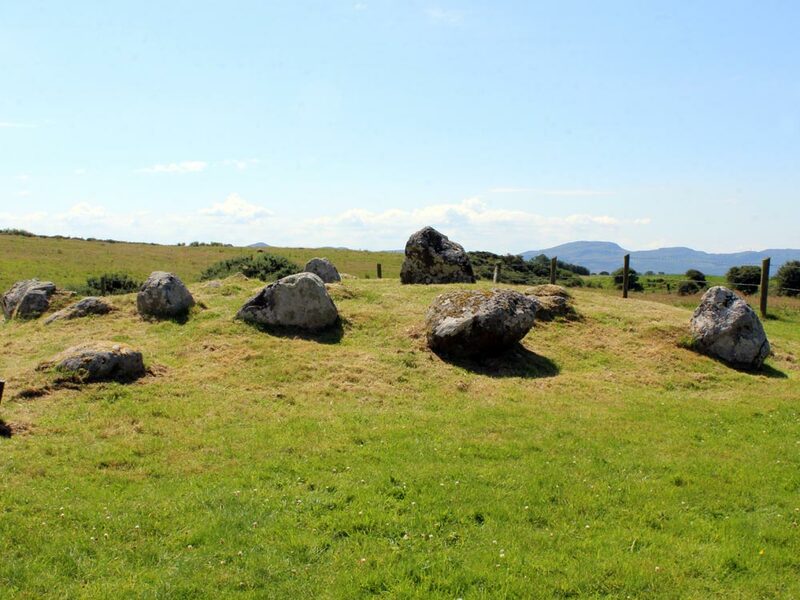 Carrowmore, close to Sligo Town, is the largest and oldest megalithic complex in Ireland. 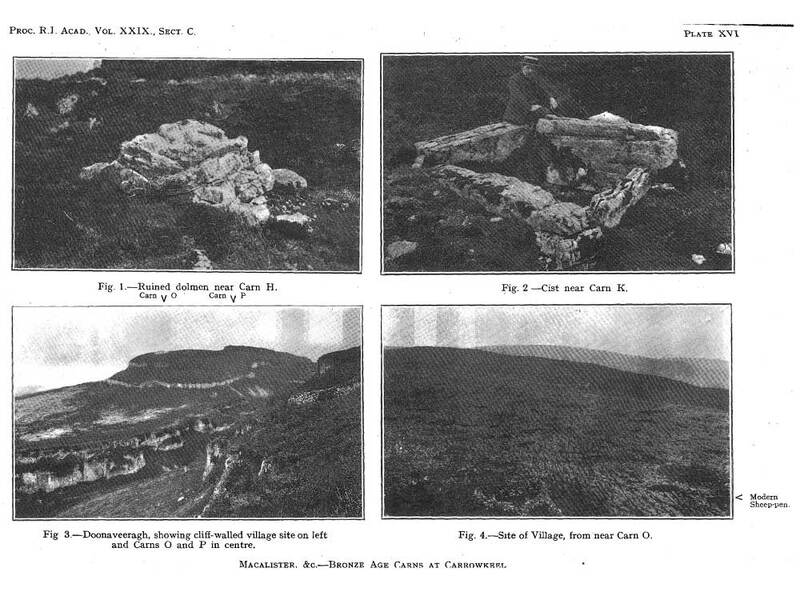 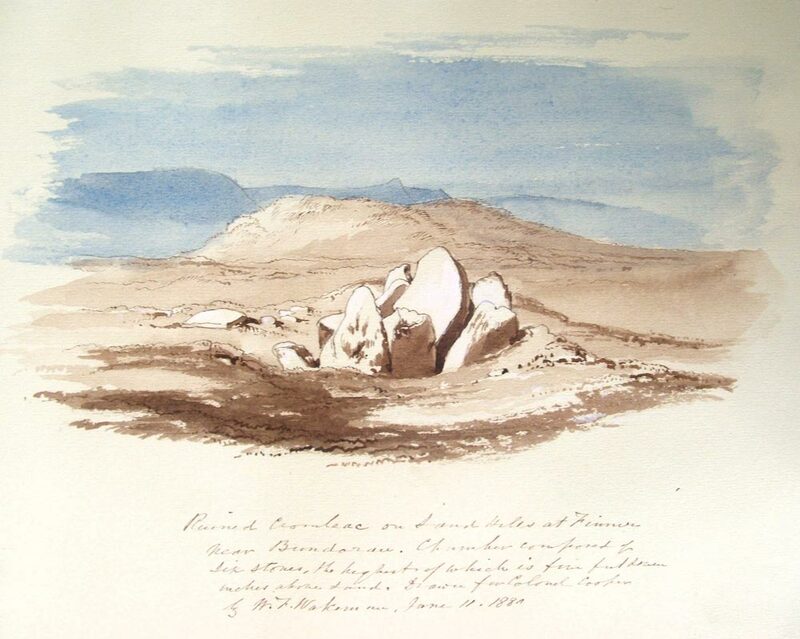 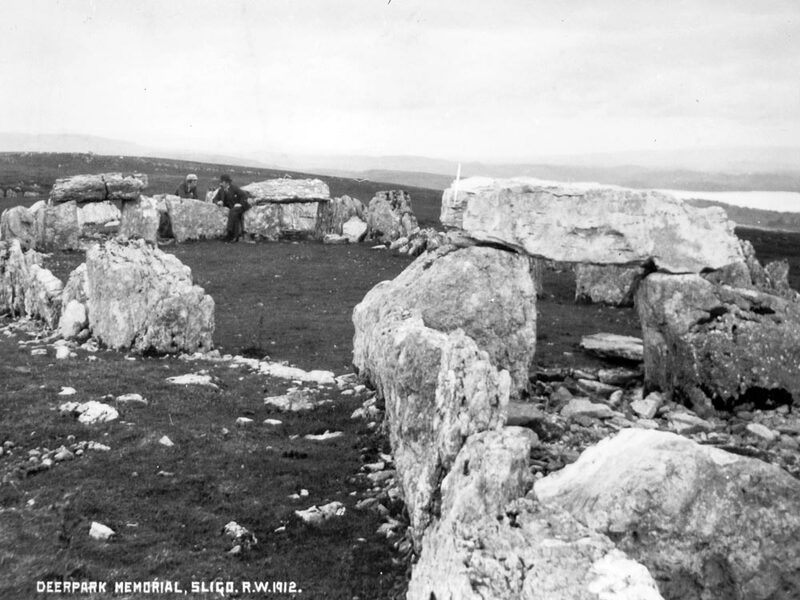 There were possibly as many as forty stone circles with central dolmen chambers, but many have been destroyed by land clearance and quarrying. 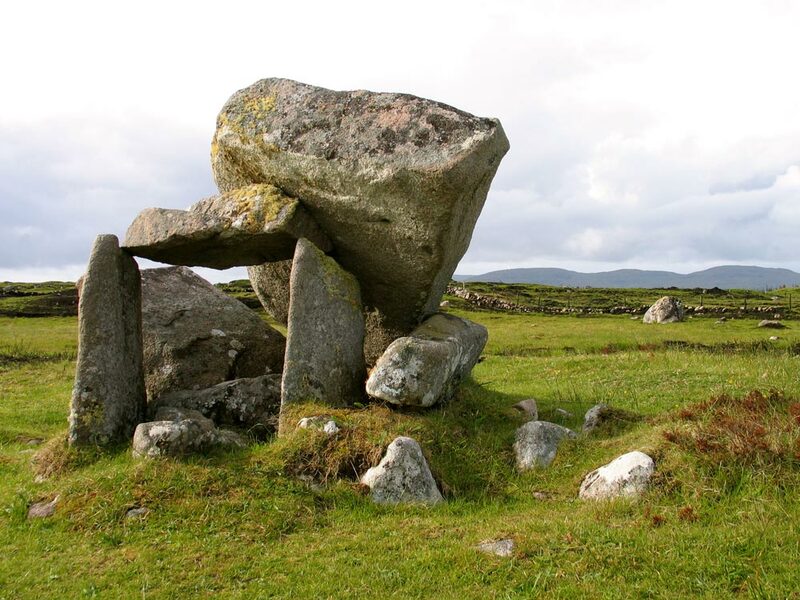 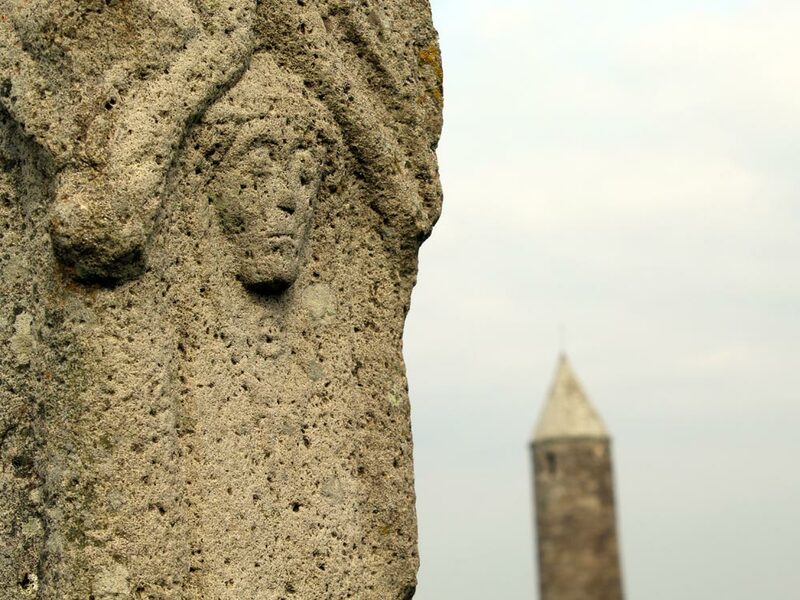 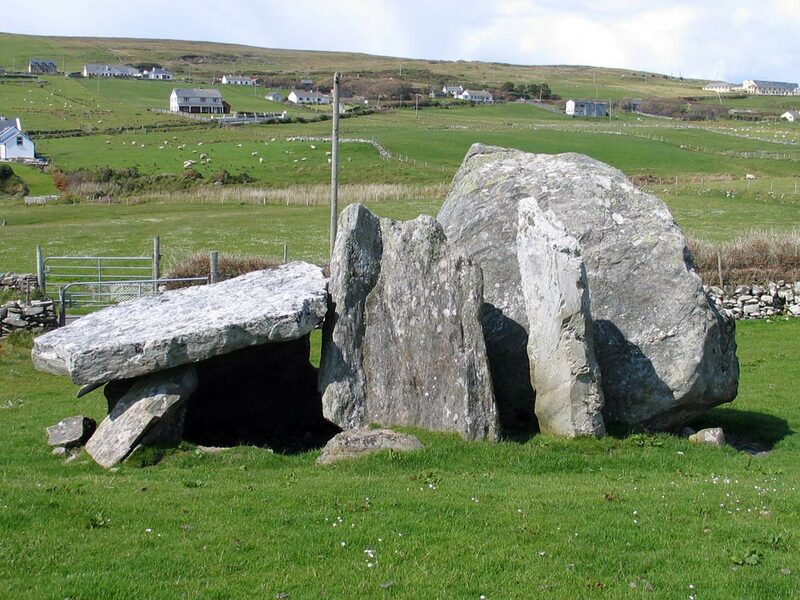 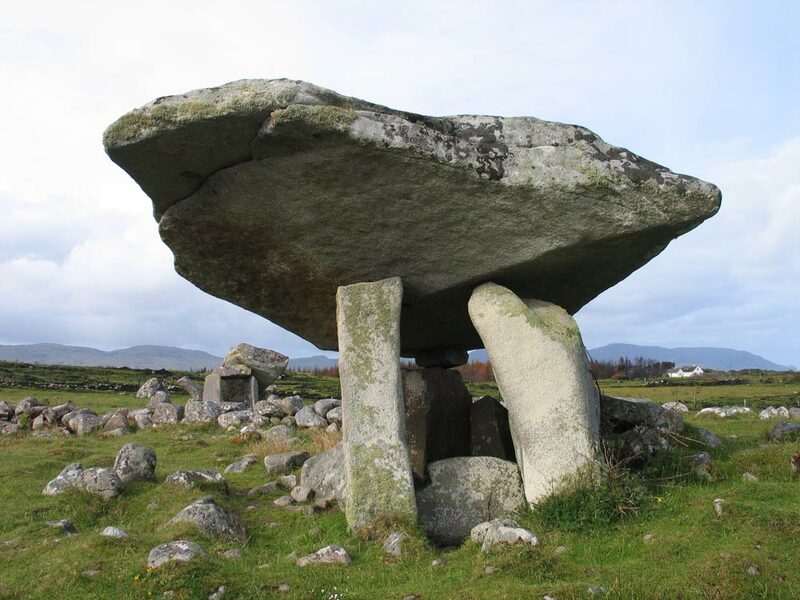 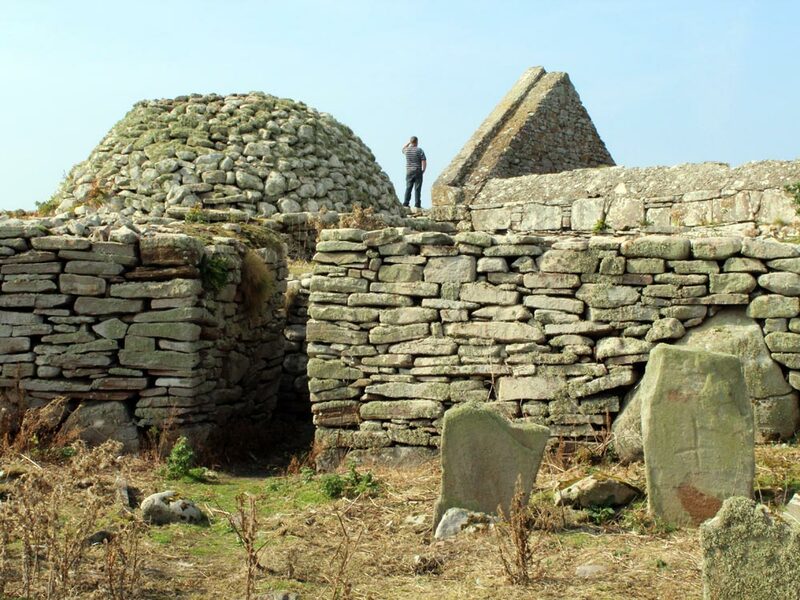 These are some of the oldest monuments in Ireland. 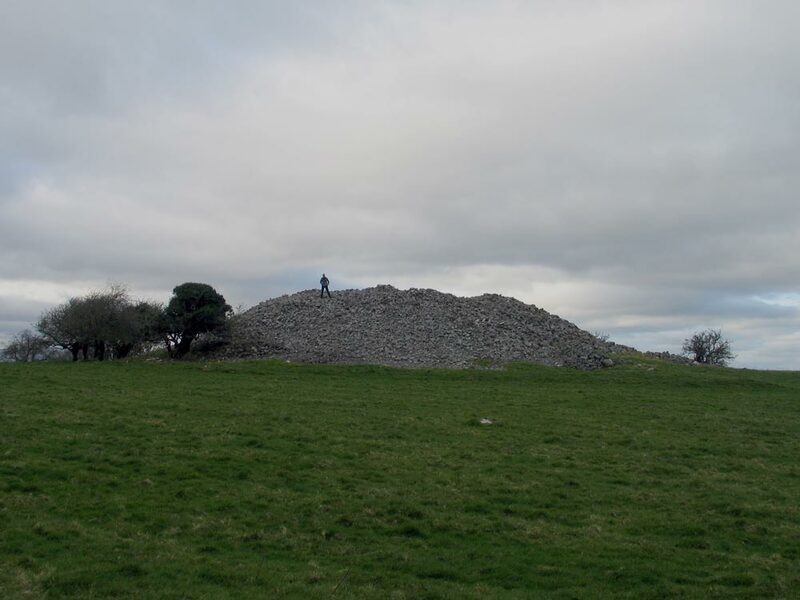 For the past few years I have been working as a seasonal guide at Carrowmore. 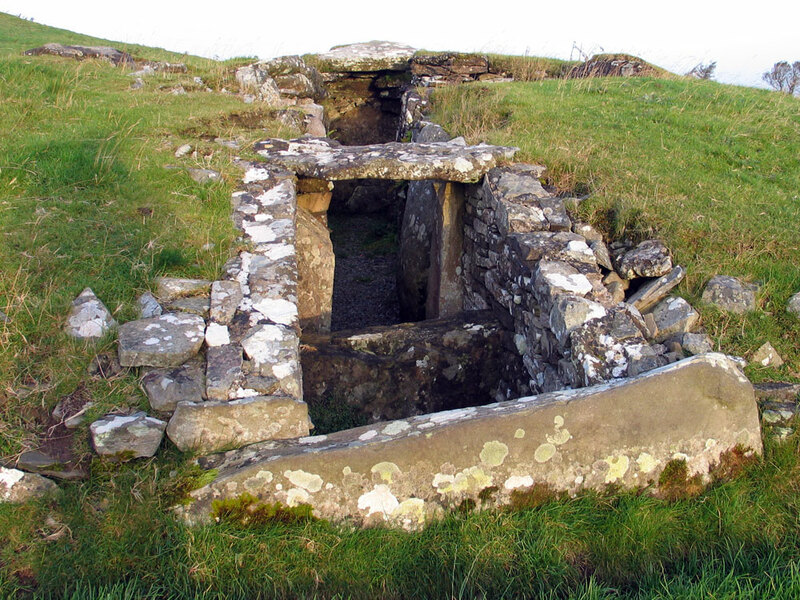 The central chamber at Carrowmore, known as Listoghil, has an alignment towards the sunrises in early November and Februrary. 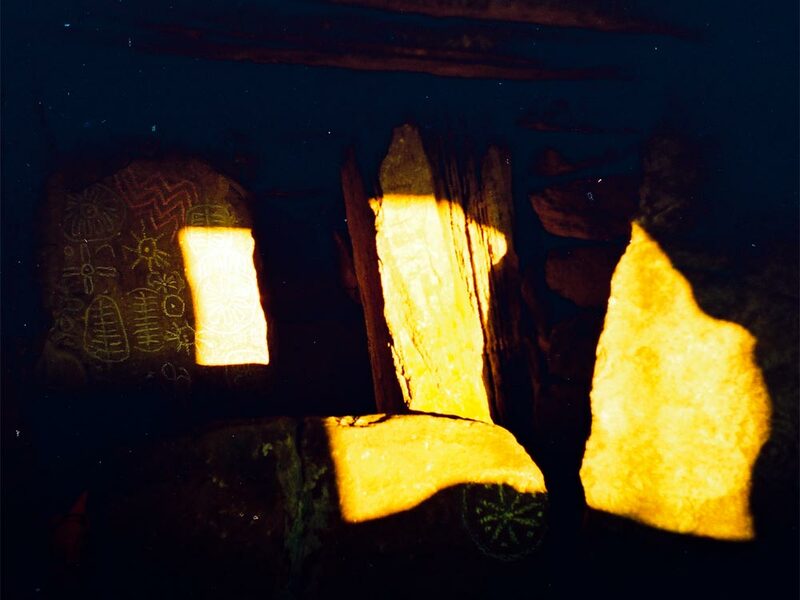 Sunrise at Cairn T, Loughcrew, County Meath. 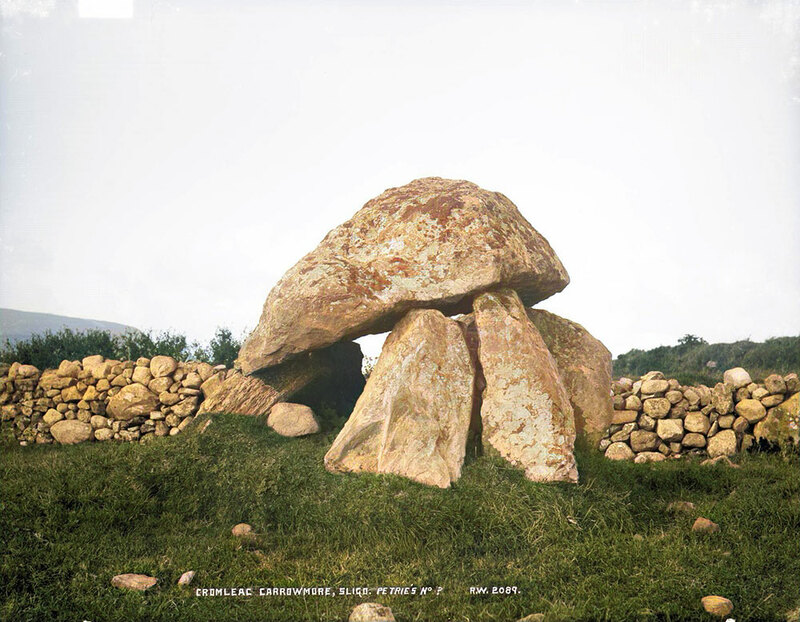 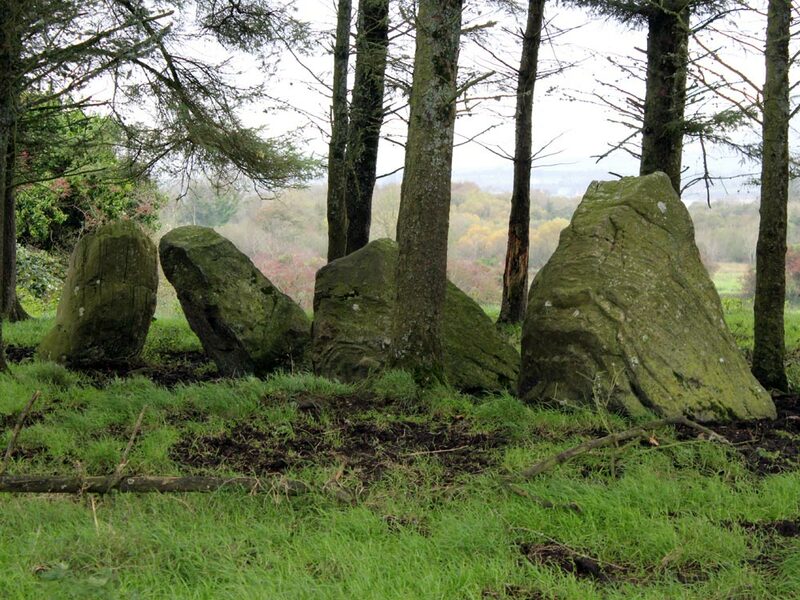 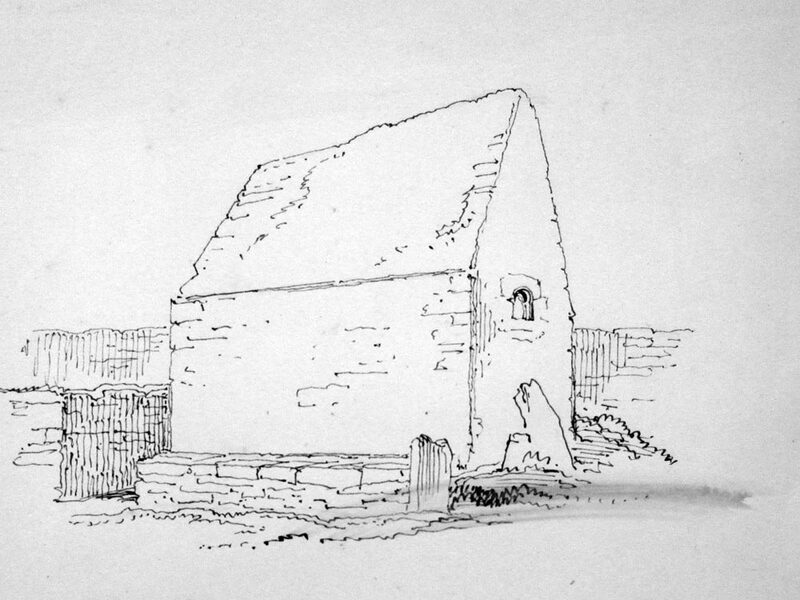 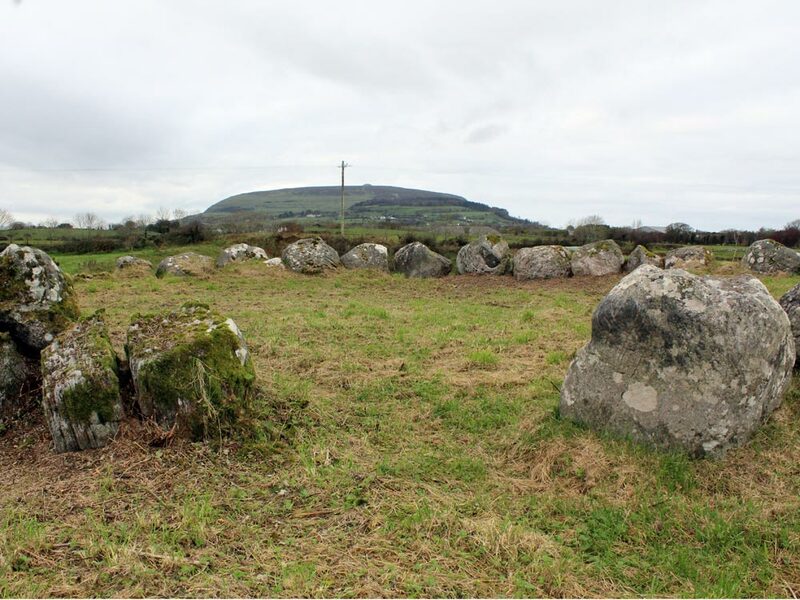 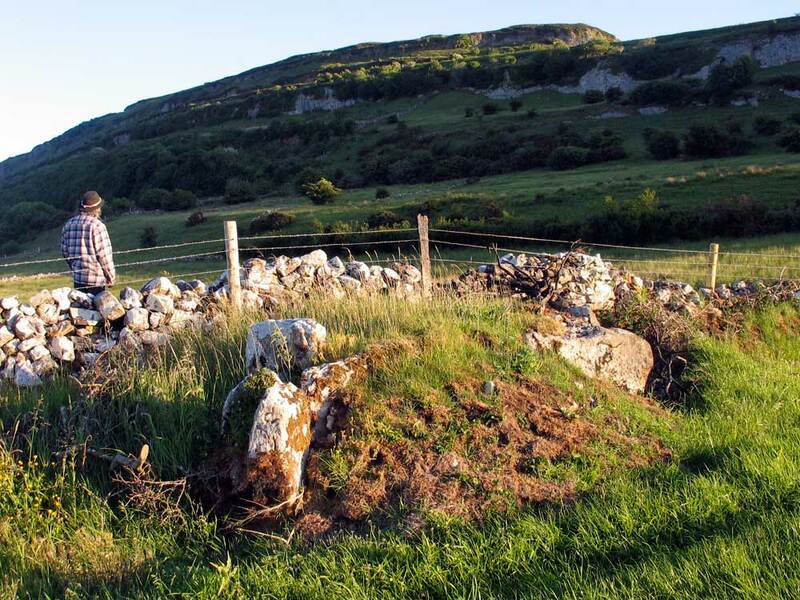 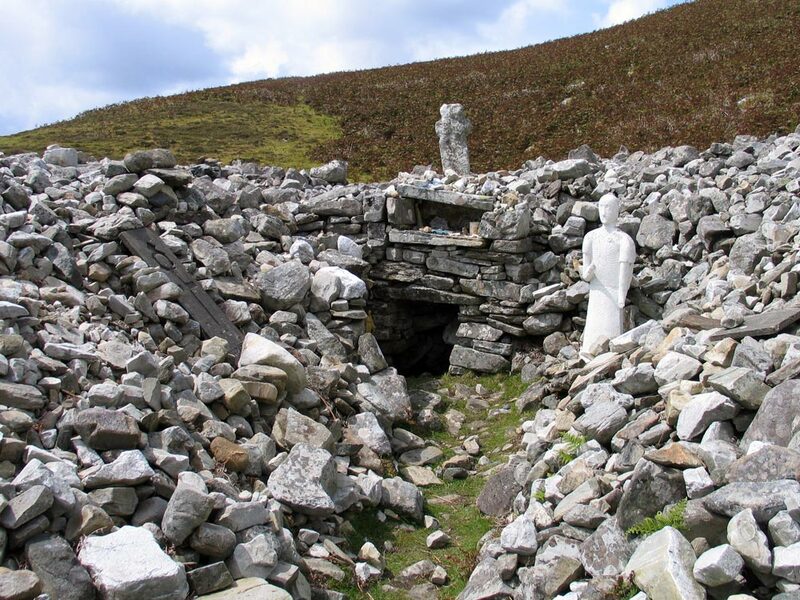 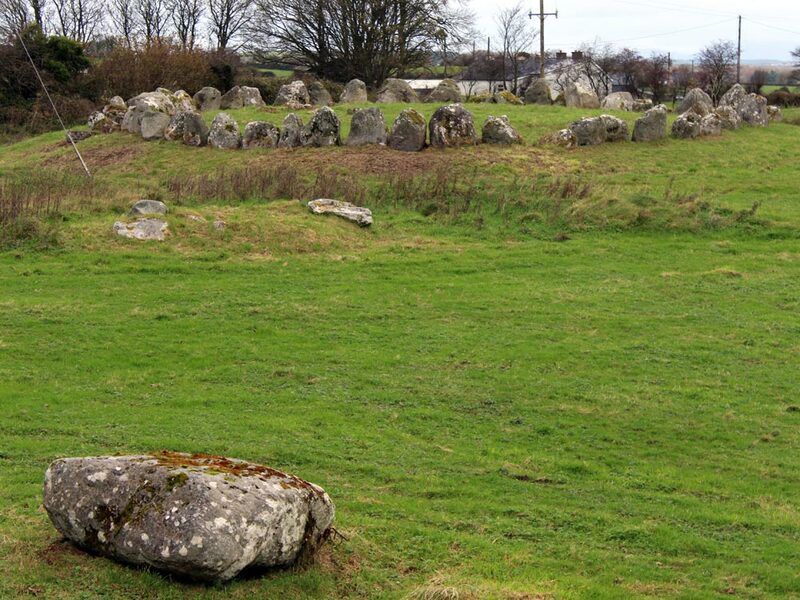 One of the largest and best preserved court cairns in Ireland, Creevykeel, just north of Cliffoney Village, and also one of the easiest to access, as it is situated beside the N15. 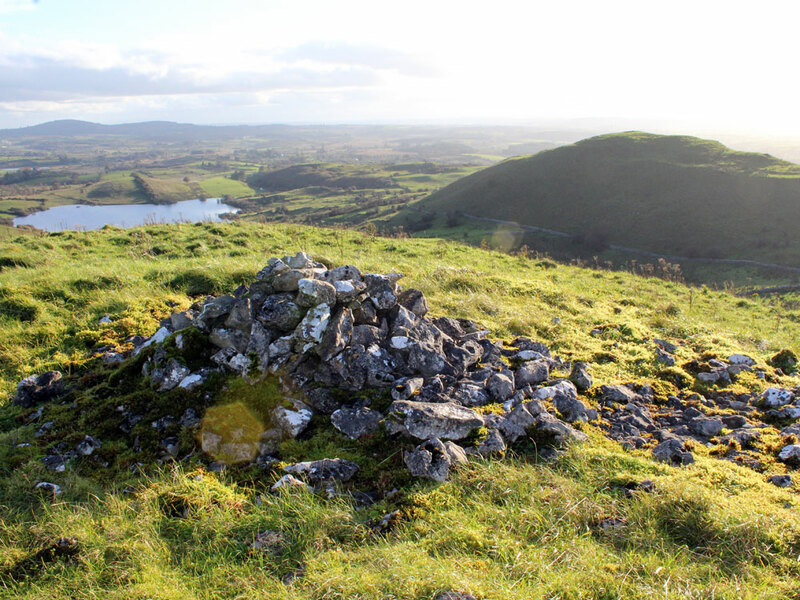 Another huge but more ruined monument can be visited at Deerpark on a plateau above the north shore of Lough Gill. 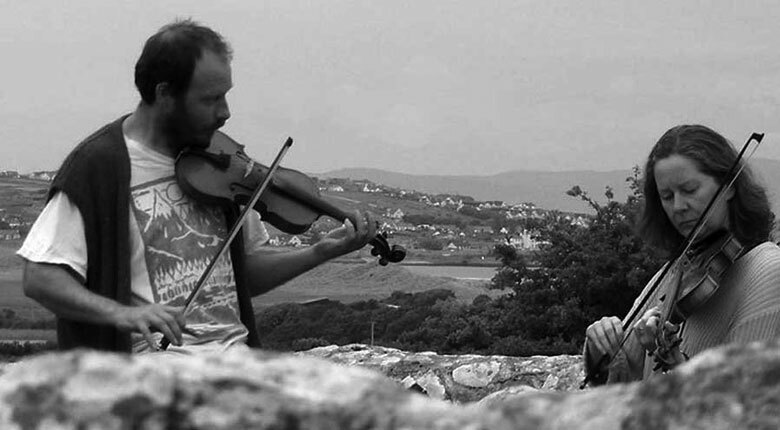 Irish Traditional Music at Creevykeel, County Sligo. 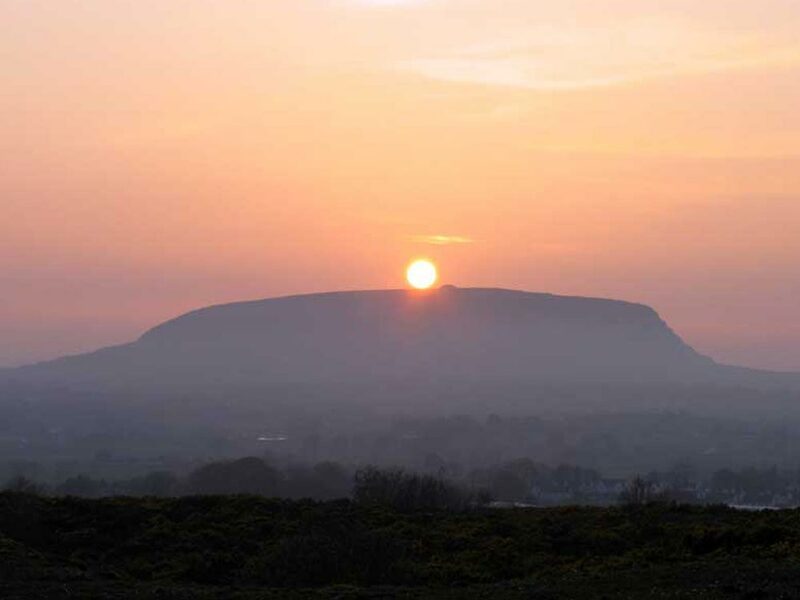 County Sligo is one of the best places in Ireland to hear fine Irish Traditional Music. 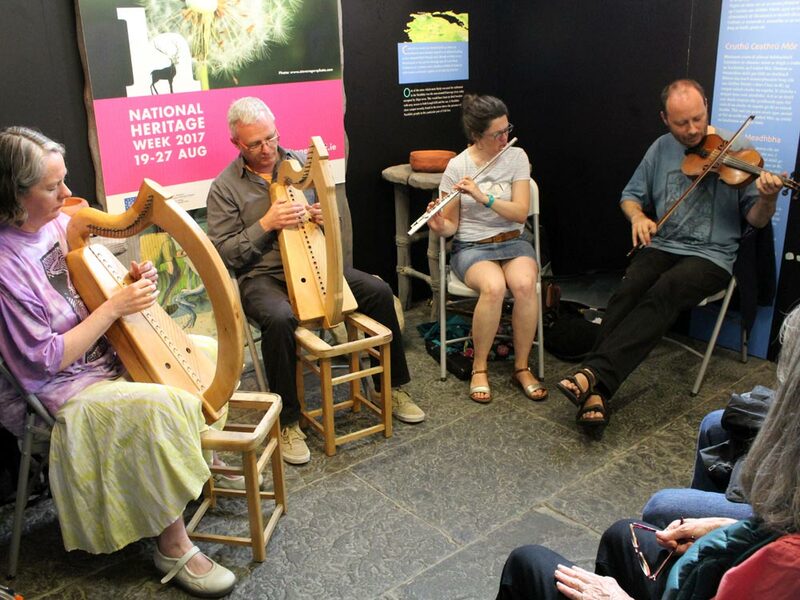 Since moving here I have taken up fiddle, banjo, and now enjoy playing a fantastic set of uilleann pipes made by Mickey Dunne. 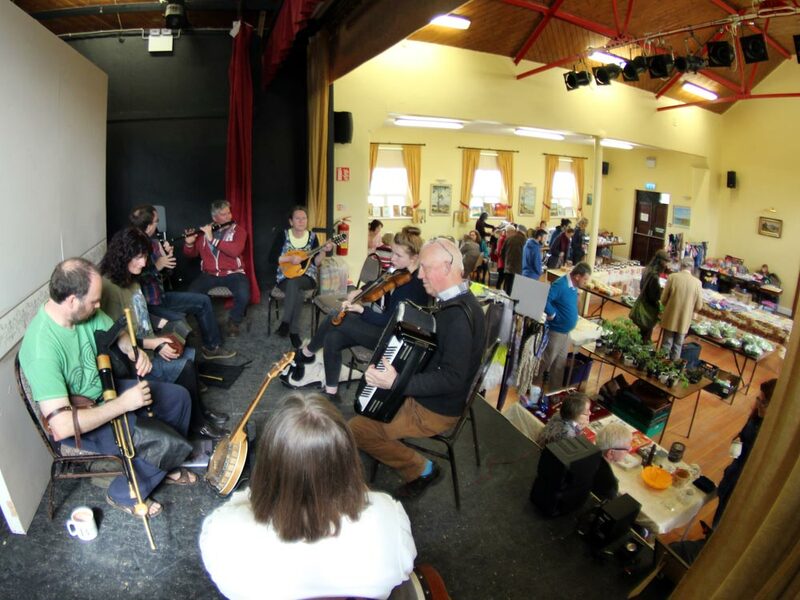 Our music group, the Trad Counsel, play regular sessions every week, and also play at care homes, community centers and the local Cliffoney Country Market. 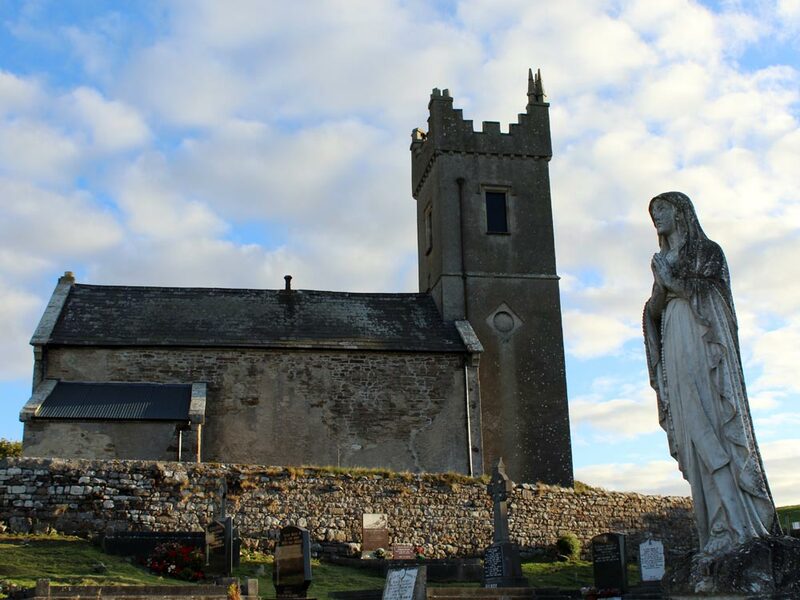 We also host a traditional session in O'Donnell's Bar on the last Saturday of each month in memory of Fr. 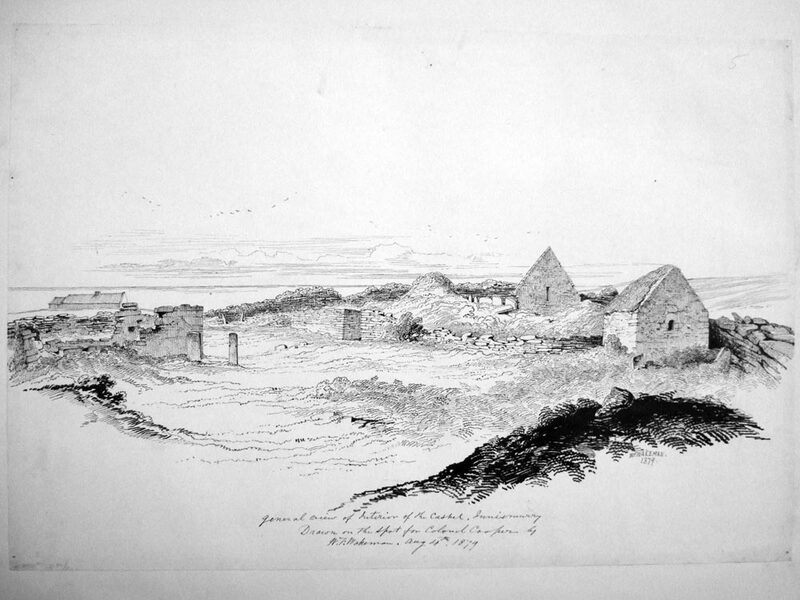 Michael O'Flanagan. 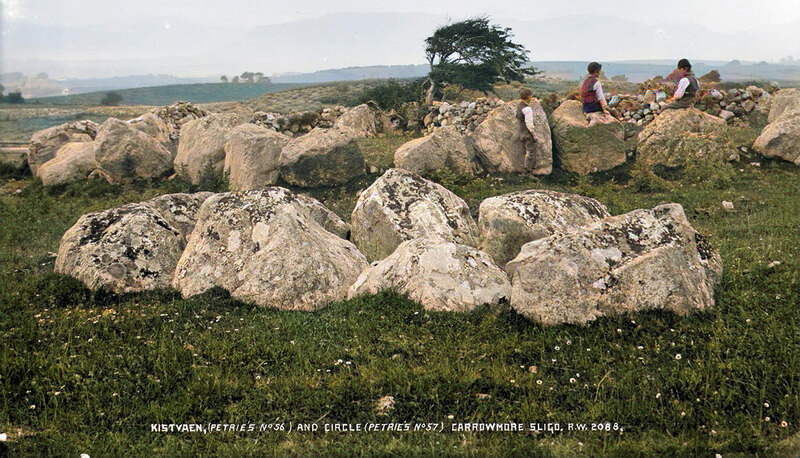 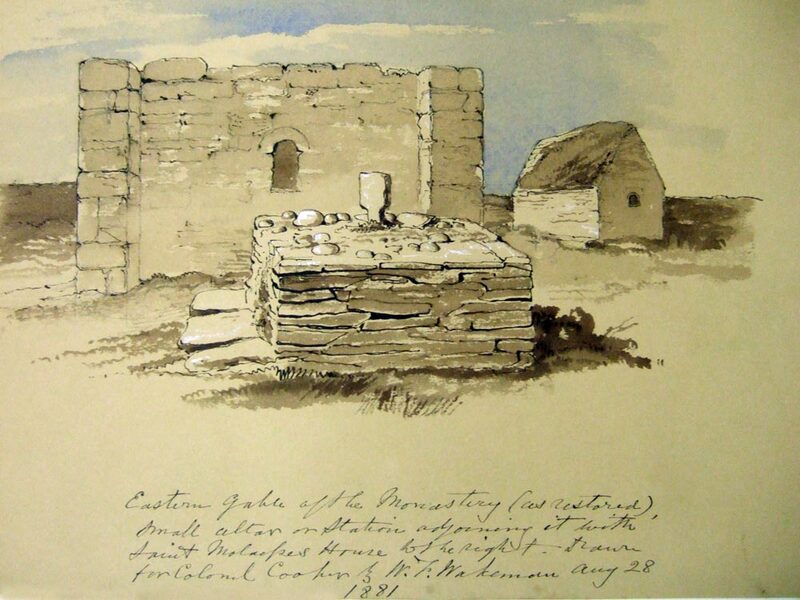 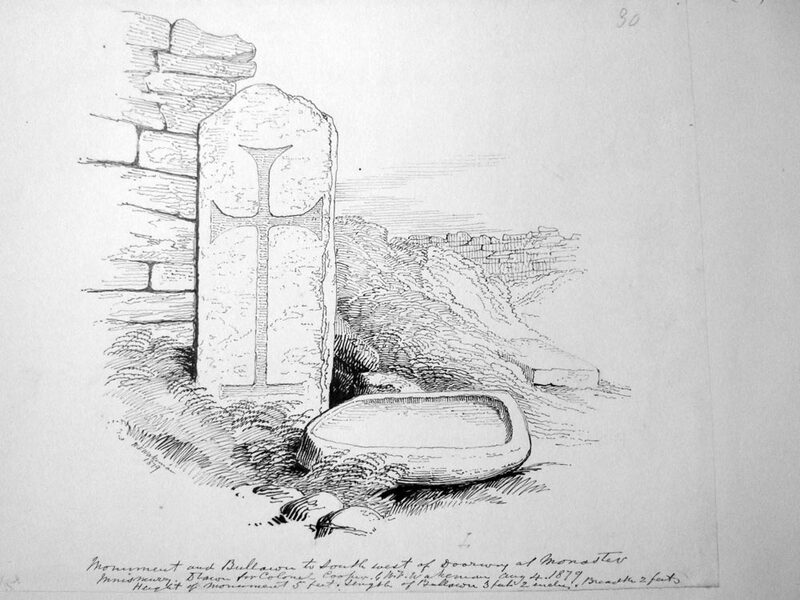 The Kissing Stone, Circle 7, Carrowmore, County Sligo.